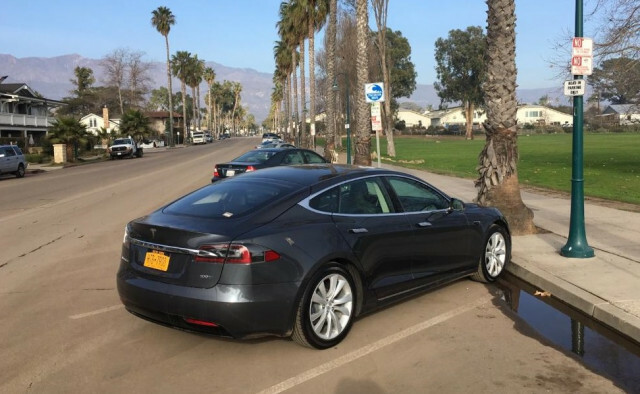 One of the reasons I traded in my 2013 Tesla Model S 85 last summer for a new Model S 100D was to get extra range. The newer car’s 100-kilowatt-hour battery gives it an EPA-rated range of 335 miles—70 miles more than the old car’s rating of 265 miles. Over four-plus years and 76,000 miles of driving, the 85-kwh battery in my first car had lost about 7 percent of its capacity, eroding my actual range to about 245 miles. Moreover, the new car would have Tesla’s Navigation app, which not only directs you to the destination, but also picks which Superchargers to use along the route to minimize total charging time. My wife Lisa and I make an annual coast-to-coast trip from our home in New York’s Hudson Valley to a winter getaway in Carpinteria, California, and back again (she flies, I drive). So I figured the 90 miles of extra range—and the new app— would make that trip a bit quicker. I was wrong. The 100D made the trip a lot quicker. So quick, in fact, that I arrived a day ahead of schedule, and had to scrounge a place to sleep with friends in Los Angeles before our rental in Carpinteria was ready. To escape the winter weather sooner, I typically head straight south from New York for a couple of days, then turn west on I-20 or !-10, depending how far south the polar vortex has penetrated. Due to a dearth of Superchargers along I-10 and I-20 through west Texas and New Mexico, in past years I’ve had to cut back north to Oklahoma City and continue west on I-40, hoping the snow wouldn’t catch me in Albuquerque or Flagstaff. In December, however, Tesla filled in the last Supercharger gap along I-20 and I-10, adding one in Willcox, Arizona. This year it would be the warmer, more southerly route all the way to the Coast. Door to door, it worked out to 3,285 miles. The first three days on the road, I stayed with friends in Baltimore, Chapel Hill, NC, and Asheville, NC. My daily driving distances were only 240, 310, and 220 miles. 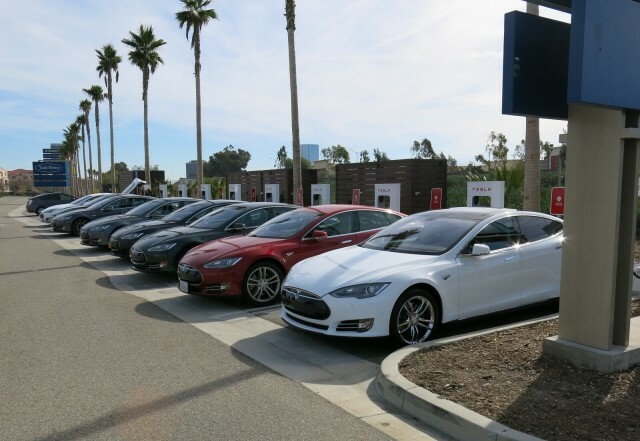 Because I stayed at private homes, I started the next day with less-than-full batteries, so I had to make a Supercharging stop each day in any case. So on Days 1 through 3, I couldn't test the 100D’s range-stretching abilities. On Day 4, with temperatures in the 40s and 50s forecast along the route, I decided to cut the corner from Asheville to Dallas and take I-40 west and then I-30 southwest instead of continuing south to pick up I-20. I left Asheville at 10 am with about 90 percent charge .The first Supercharger along I-40 was in Knoxville, 120 miles distant. The app recommended skipping on to the next one, in Cookeville, Tennessee, still within comfortable range at 216 miles. I concurred. Already, score one for the 100D. With 90 percent battery and 40ish temperatures, covering 216 miles wouldn't have been at all comfortable in the old 85, and I would have stopped in Knoxville. But the 100D flew right by and I finally landed in Cooksville with range to spare, just in time for a late lunch. Charging in Cookeville, I saw once more how much faster the charging is on the 100D against my old 85. I picked up 200 miles—from about 15 percent to 75 percent—in roughly 30 minutes. That charge would have taken at least 45 minutes in the old 85. Possibly more. I now had enough juice to skip the next Supercharger, in Memphis, and make it to the one in Jackson, Tennessee, 209 miles away. Slowed by heavy rain, I made it just before dark. I’m glad I did; the buffet dinner of Southern fare at the Old Country Store next to the Supercharger was almost worth the drive from Asheville all by itself. With two Supercharging stops in the 85, I’d never have made it to Jackson before dark—and I would have missed that dinner. 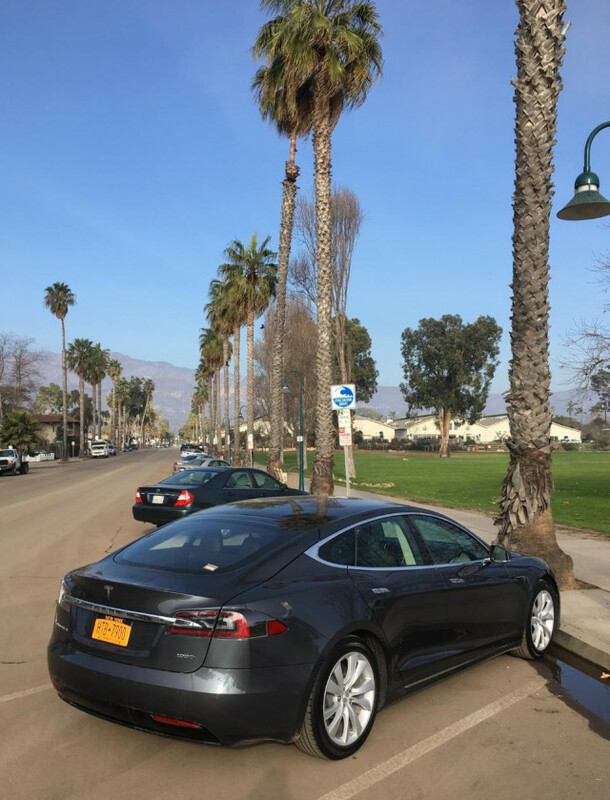 Days 5, 6, and 7 were friend-free, so I was able to follow the dawn-to-dusk go-as-far-as-you-can routine that typically netted me 500 to 550 miles a day along fully-Supercharged routes in the previous Model S.
But with quicker, fewer charging stops, the 100D did far better. Over those three days, I drove 674, 600, and 623 miles. On average, that’s about 100 miles a day more than I could manage in the old 85. And I came to trust the Tesla navigation app, which proved fairly accurate. 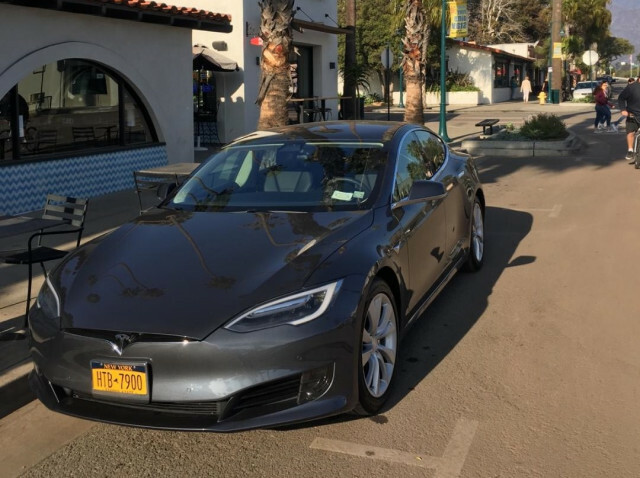 It seemed to prefer arriving at the next Supercharger with about 15 percent of battery charge remaining, on par with my semi-cautious mindset. But for those drivers who laugh in the face of range anxiety, the app allows you to cut the margin as close as you like. Simply unplug and proceed when the app prediction of remaining charge on arrival meets your risk threshold. The 100D is supposedly about 13 percent more efficient than the 85, according to the EPA. But I've found the dual-motor Teslas’ supposed efficiency advantage to be illusory. 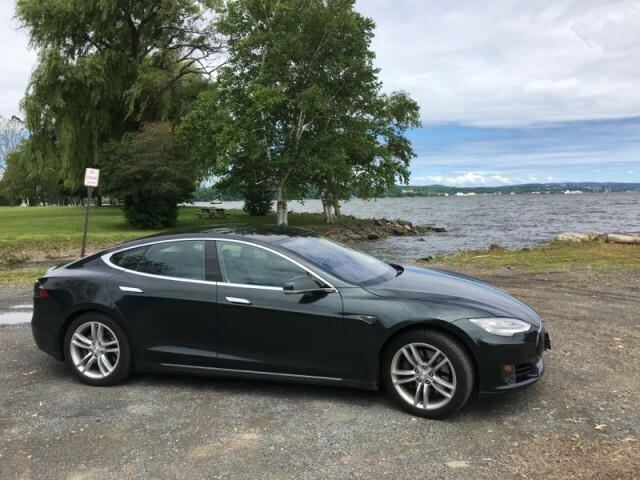 After 8,000 or so miles of mostly local driving, my 100D had delivered virtually the same efficiency numbers as the old 85: I logged 290 to 300 watt-hours per mile. But during this trip, there were stretches where the 100D seemed to beat the 85 hands-down in efficiency. I don’t recall the 85 ever doing that well with comparable speeds and tailwinds. On the other hand, looking back, two quirky Supercharging stints in the 100D still mystify me. On both occasions, the charge rate surged initially up to 115 kw, as usual, but after a few minutes, began to taper off for no apparent reason. On one occasion it settled at 65 kw before slowly climbing back up to 80 kw . The other time, it settled around 75 kw and stayed there. During previous local Supercharging sessions near my home, I had learned the 100D is far more sensitive to temperature than the old 85-kwh battery. In cold weather, the initial Supercharging rate for the 100D is severely restricted unless the car has been driven enough—at least 50 miles—to warm the battery fully. On a really hot day—above 90 deg F—I found that Supercharging rate is also limited in the 100D, presumably because the battery is now too warm. I never noticed that with the 85. This particular trip was always in cool to moderate temperatures, so I have yet to try a hot-weather Supercharge after a long drive. Can anybody out there provide any feedback on that? Despite the quirks, I’ll definitely give the nod to the 100D. I always felt the 265-mile range of the 85 wasn't quite enough to account for cold weather, 75-mph cruising speeds, headwinds, and gradually rising elevations. I’d like to be able to drive 250 miles under all but the most extreme circumstances, and the 100D gives me that. Essentially, it allows 600-mile days with only two Supercharging stops. Unless batteries become ridiculously cheap and ridiculously light, anything more than about 350 miles EPA range seems wasted—adding extra weight and extra cost that will virtually never be used. The promises from Faraday Future, Fisker, and Lucid of 400-mile ranges for their upcoming electric sedans and utility vehicles strike me as overkill. And the new Tesla Roadster’s claimed 600-mile range is just plain ridiculous. I suppose you could argue that mega-batteries are worthwhile because they can charge faster. But with Elon Musk tweeting not long ago that a 350-kw charger would be a mere “children’s toy” compared to future Tesla Superdupercharging, that advantage may soon be moot. 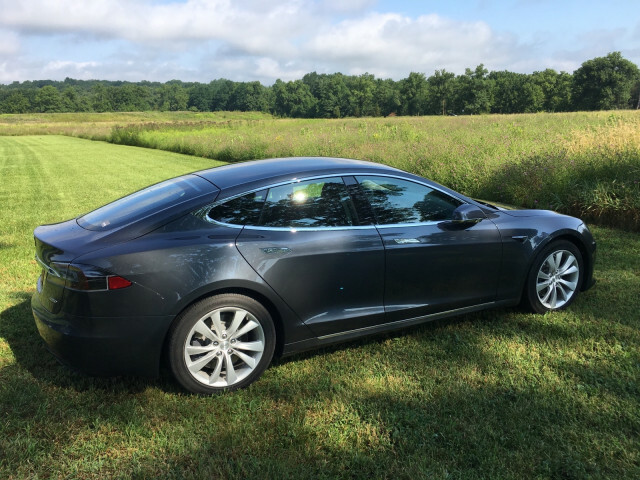 My first cross-country Tesla “dash,” in 2015, took 10 days due to the longer Southern route and the many Supercharger gaps at the time. I had to go off the beaten path and improvise to find electrons, and in the process stumbled onto a number of intriguing diversions: a great blues piano player in Saluda, North Carolina; a pink four-poster canopy bed in Foley, Alabama; and some really cool old farm implements in Elk City, Oklahoma. I even got the inside scoop on the Texas legislature’s anti-Tesla efforts from one of its members—a Tesla owner who let me plug in overnight at his house in Beaumont, Texas. On this most recent trip, with a longer-range, a quicker-charging car. and a fully built-out Supercharger network, I could have made the trip in five or six days if I’d bypassed the friends. As for adventures, well ... I guess that dinner in Jackson was sort of memorable. Other than that, the trip was just Interstates, Superchargers, Comfort Inns, and road food. Pretty boring.